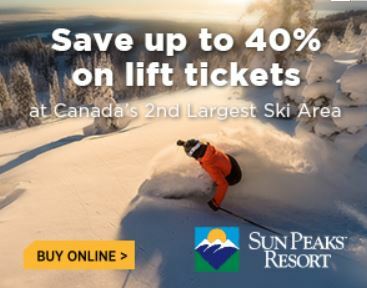 For Best Sun Peaks Lift tickets and equipment rental prices, or at over 250 other ski resorts world-wide, purchase online ahead of time and save up to around 40% of the walk-up price. The prices are dynamic and are based on supply and demand, so you may get bigger savings on weekday passes versus weekend lift passes. The lift tickets are not available through Costco in Canada but discounted lift tickets can be purchased through Liftopia, which is who Sun Peaks as well as many other Canadian and US ski resorts use to sell their online lift tickets. 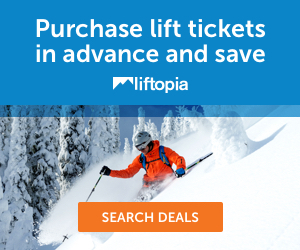 Save up to 40% on Snowboard, Nordic skiing or Alpine skiing day lift passes and/or Sun Peaks equipment rental packages as well as summer lift passes - click the Liftopia ad on your left. 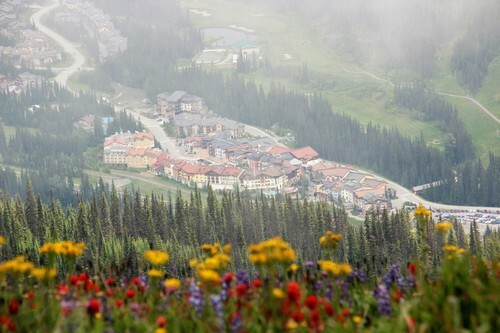 This now also includes summer lift passes for Sun Peaks alpine hiking, mountain biking and the Sun Peaks bike park - click the Liftopia image on the left of each page for details and to purchase and save. Pre-buy your Sun Peaks lift passes online in advance at the best price, and then simply pick up your tickets from the ticket windows at the front of the Village Day Lodge when you get to the resort (Sun Peaks or one of the many other resorts that Liftopia sells tickets for). Save time and money! The discounted lift ticket prices are initially shown in US Dollars, but prior to purchasing you can choose to view the Canadian dollar price. This is the best option for purchasing discounted single or multi-day lift passes and we recommend it to all our BestSunPeaks guests and friends. Guests coming for longer Sun Peaks vacations of around 10 days or more may want to consider purchasing a Sun Peaks Season Ticket in advance of their holiday. See below for season ticket benefits. The earlier you purchase your Sun Peaks lift tickets, the bigger the savings, with the lowest price typically being available up until the end of June, and then the next best price up to around the end of September. Buy your Sun Peaks lift tickets in advance - save and enjoy!! - NEW for the 2018/19 ski season, Sun Peaks season passes for alpine skiing also includes a Sun Peaks Nordic skiing season pass. - Also NEW this season, save 20% on your Bike Park Season Pass or Anytime Golf Membership when you add it on to your Alpine Season Pass. Only available until June 30, 2018. - Free Sun Peaks Payment Plan Option - Payment plans are available at no additional charge during both the spring BEST BUY and FALL Best BUY sale periods. Payments can be charged in three payments, beginning with the date of purchase. To learn more, please contact Sun Peaks Guest Services. 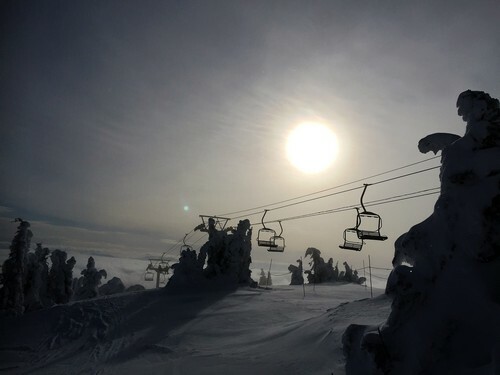 - Sun Peaks Winter Rental Discounts - Sun Peaks season pass holders save 10% on equipment rentals at the Sun Peaks Rentals and Elevation Bike, Ski, & Board. Other Sun Peaks Rental discounts apply by pre-booking online with certain rental companies. - Sun Peaks Season Pass Holders Free Ski or Snowboard Lesson - Season ticket holders can enjoy either one FREE* adult Super Group lesson or Sun Kids half day group lesson, valued at up to $80, as well as 20% off select ski and snowboard lessons all season long. For more information on Sports School lessons, click here or call 250.578.5505. *FREE lesson must be used by Feb. 28, 2019. Subject to availability and blackout dates apply. - Winter Food & Beverage Discounts - Season pass holders can save 10% on select food & drinks at the Sunburst Bar + Eatery and the Annex Food & Drink. Discount on regular menu items, pop, and non-alcoholic drinks from the Starbucks coffee kiosk there. Other conditions apply. - Tube Time and Bungee Zone Discounts - save 10% all winter long. - Sun Peaks Resort Golf Course Discount - save 10% on Sun Peaks golf course green fees, Monday to Thursday. - 10% off Sun Peaks Bike Park lift passes. - 20% off the Sun Peaks MCC Go Carts. - Sun Peaks Lift Tickets Discounts on Other Resort Lift Tickets - Sun Peaks Season Lift Ticket Holders also save up to 25% on lift tickets at participating resorts throughout British Columbia, Alberta, Ontario, and the Pacific Northwest, and currently save 50% at Whistler Blackcomb (recently purchased by Vail Resorts so not 100% sure about 2018/19 ticket pricing). - Whistler Blackcomb Unlimited Season Pass* Holders and Sun Peaks Resort Alpine Season Pass Holders SAVE 50% at the partnering resort! Unlimited days and no blackouts. *To confirm if your Whistler Backcomb Unlimited Season Pass qualifies please contact Guest Services at 250.578.5474 or email guestservices@sunpeaksresort.com. - Season pass holders from many other resorts throughout British Columbia, Alberta, Ontario, and the Pacific Northwest can enjoy 25% off alpine lift tickets at Sun Peaks Resort and reciprocal also - Sun Peaks Resort season pass holders will also receive discounted lift tickets from the participating resorts. For more information please contact Sun Peaks Guest Services at (250) 578-5474 or visit Sun Peaks Lift passes to book online.